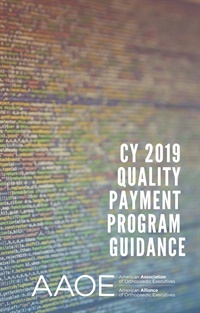 AAOE's annual guidance for the Medicare Quality Payment Program is here! Find out new changes to the program for the CY 2019 performance period and see which policies from previous years will continue. Get help choosing the best 2019 participation option for your practice!